The identities of the people shot on Saturday morning in Carson City have been released, and the man who shot them is dead. Guy Perry, 52, died from gunshot wounds to the upper body. His daughter Cassandra, 19, was shot in the head but is expected to fully recover. The man who shot the Perrys on Saturday morning killed himself after being cornered by Reno Police on Monday afternoon. Michael Dylan Brentlinger, 22, was the subject of a three-county manhunt after he was seen leaving the scene of the shooting around 6 a.m. Saturday. ccording to the Carson City Sheriff’s Office, Brentlinger broke into a home on Carmine at about 6 a.m. and confronted Cassandra. 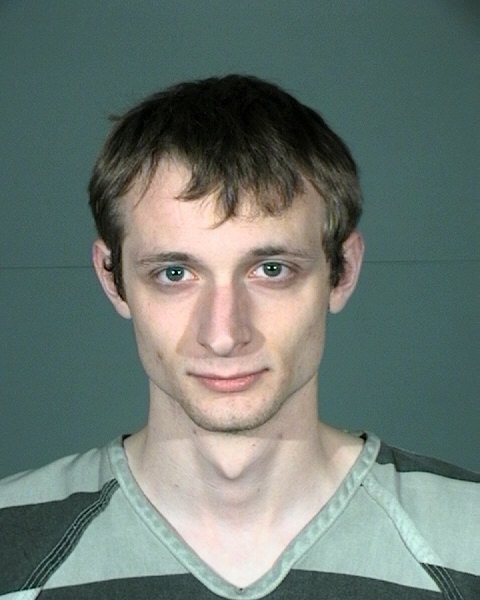 Brentlinger, 22, was seen fleeing the 2800 block of Carmine Street in a white 2002 Chevrolet Cavalier with Nevada license plate 948XAT on Saturday, Furlong said. Reno Police Department officers identified him ater 1 p.m. Monday and cornered him on the tennis courts at Manzanita Park, Furlong said. This entry was posted in Dead, Domestic Violence, Man, Multiple Shooting, Murder-Suicide, Nevada, Suicide on December 30, 2013 by usgunviolence.